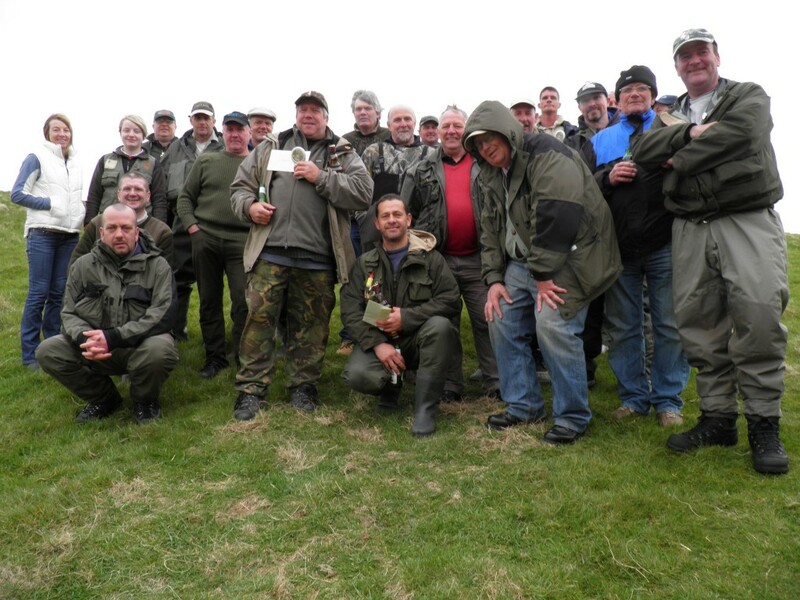 Best description of the weather would be “Baltic” – the UAAA’s previous form for this competition was 2 years ago a roasting hot day with a cloudless sky – last year gale force winds that made casting extremely difficult – this year freezing. Our competitions are just another episode of extreme fishing. As usual the. UAAA had to meet a number of challenges – freezing cold weather coupled with it being a cup final day & South Lanarkshire Council having road closed signs on the Muirkirk Road. Next year we promise to avoid the Cup Final but there is no way we can predict the weather or road closures. 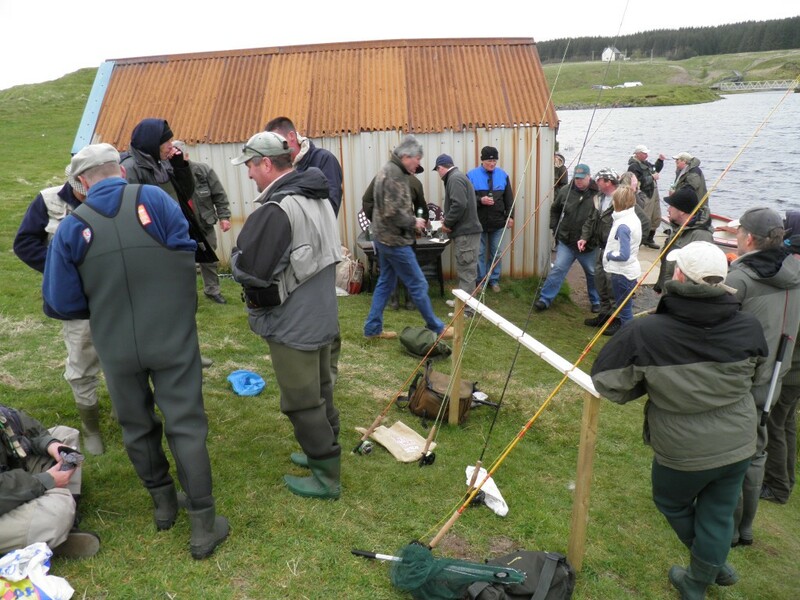 Despite this we had a great turn out & all the anglers worked hard to pick up the Trout that were prepared to feed in the cold water. 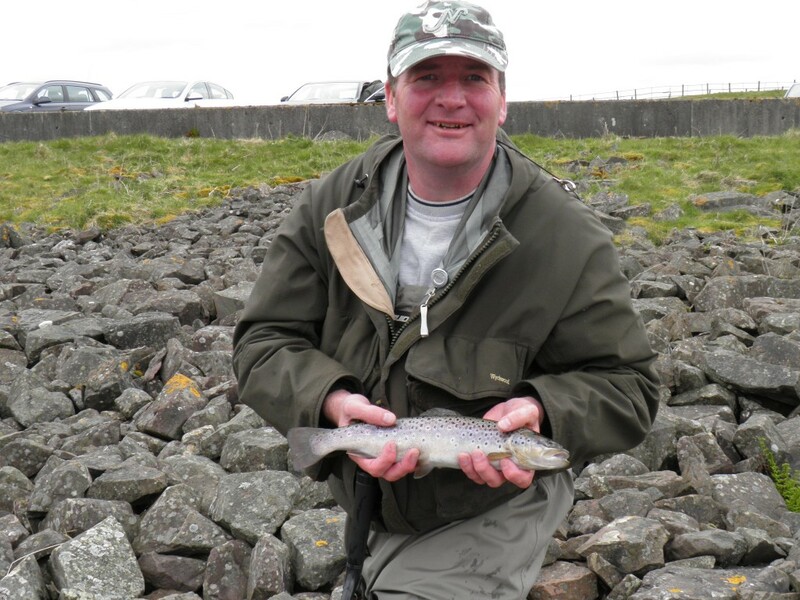 A number of anglers even circumnavigated the whole reservoir which at least kept them warm. 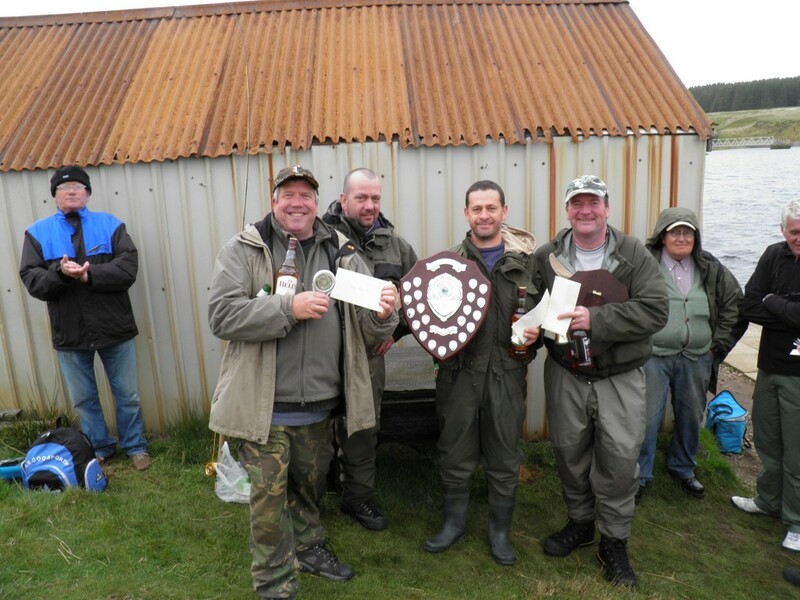 Upper Avon Angling Association held there annual team fishing competition on the Glengavel Reservoir on a cold and dull Saturday 19th May. Winning Team “3 Amigos” Billy Lindsay, David McIndoe, Gordon Thorn. 7 fish 3x bottles whisky, Fee’s returned, Tarmac shield, trophies, tackle voucher. Heaviest Bag Gordon Thorn 4 fish = 5.6lb 1x bottle whisky, Jim Bell shield, trophy, tackle voucher. Heaviest fish D McSkimming 1lb 9oz Trophy, tackle voucher. Heaviest Fish D McSkimming 1lb 9oz Trophy, tackle voucher. 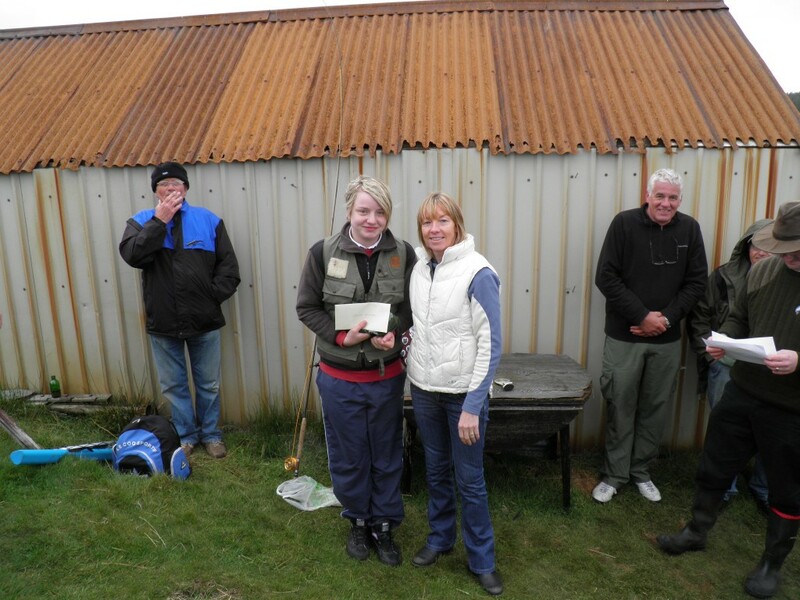 Junior Prize Amy Gavin Tackle voucher and fish bag. 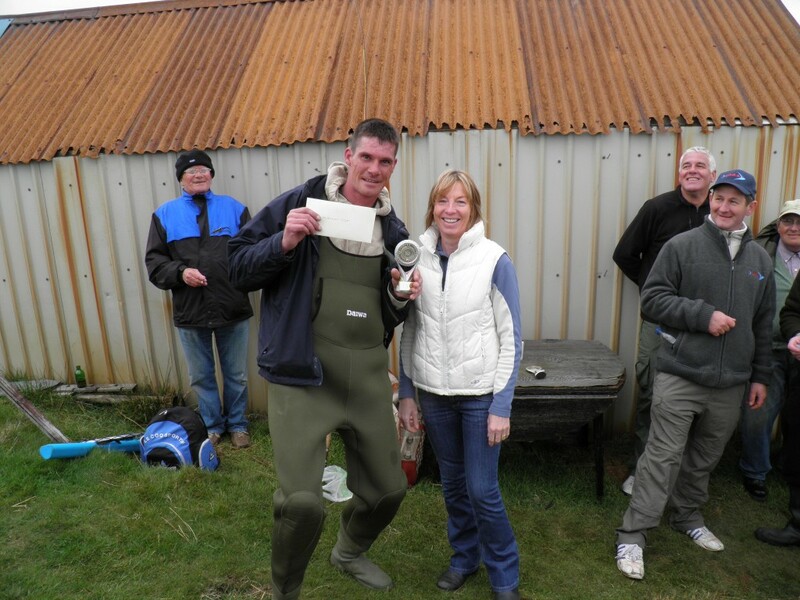 Well done to all those who took part – in particular to Gordon “Thorny” Thorn for an angling master class – he was head and shoulders above anybody else & I have noted his tactics for fishing Glengavel on a “Baltic” day. If last year was “Hurricane Dungavel” this year was “Baltic Glengavel”. Again we had a good natured good fun day – great banter & laughs. Gordon Thorn won the Heaviest Bag - Rosie Shaw presenting the prizes. 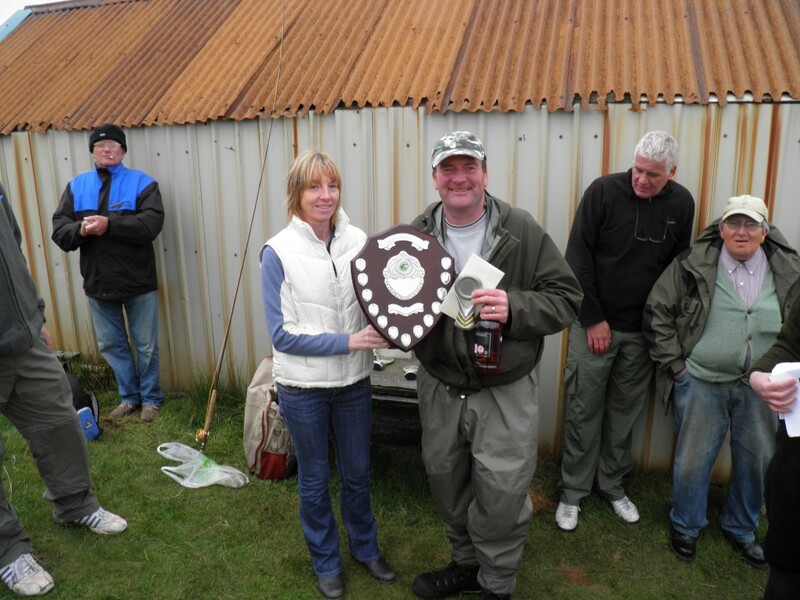 Drew McSkimming won the Heaviest Fish - Rosie Shaw presenting the prizes. Amy Gavin - Junior Prize Winner - Rosie Shaw presenting the prizes. The Competitors who braved it to the very end - well done to a hardy bunch!!! And a big thankyou to Graeme for once again doing a great job of organising this event – cheers…. And signing off a wee video of Gordon catching another Glengavel Brownie…..